A fantastic new addition to our large range of antique furniture. 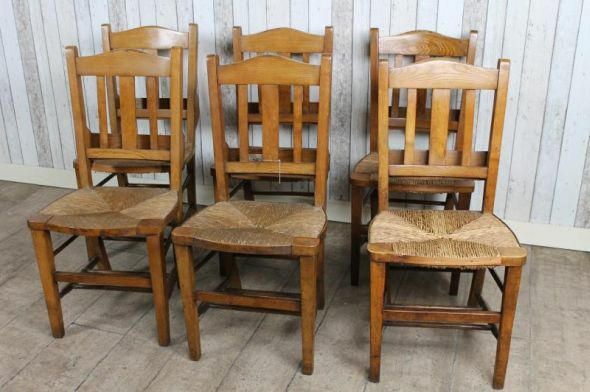 These oak and elm rush seat chapel chairs feature a beautiful rush seat and a bible box to the back rest. They are ideal for any country kitchen, period interior, or catering facility. We have a large quantity of these chairs available; please contact us for more details. Please note that this listing is for one chapel chair.